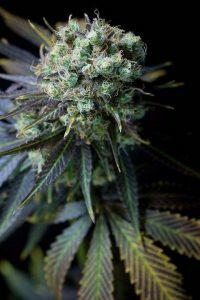 Today, we are taking a look at Plain Jane’s CBD Flower. If you’ve been reading the blog for a while, you might remember we tried Plain Jane once before. The first time, I loved the branding, the idea, and the presentation, but the actual buds weren’t the best. This time, I really think they’ve got it right though. What can I say here. 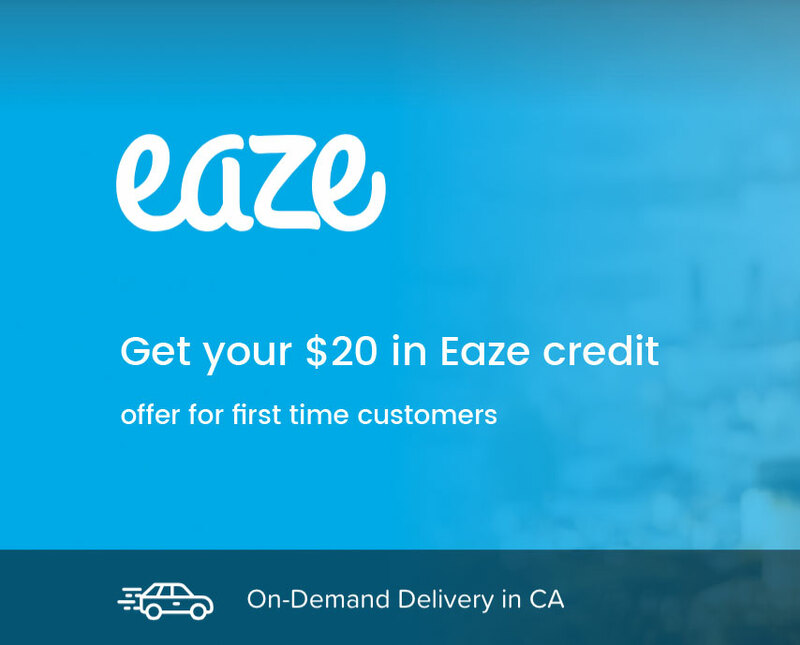 When I went to the website, I thought it was either a mistake or poor ux/ui, but it actually is $2/gram. The buds were shipped in a small padded yellow envelope. Inside, the flower was bagged in plastic and sealed. Then bagged again and sealed. There was absolutely no weed smell. Additionally, looking at the package shape, size, and sender info, you’d have no idea what was in it. I used a pair of scissors to cut the bags open. And when I went to take a smell, I was just about floored! When you review as much hemp as I do, you get used to more muted smells. I’m guessing it’s simply because most growers are working with huge amounts and they don’t have the resources to cure it properly. Well. Let’s just say that Plain Jane’s Elektra is both full of terpenes and was cured in a way that preserved most of that smell. It’s very strong. Floral + Citrus + Berry + Skunk. Almost good enough to take a nibble! lol. 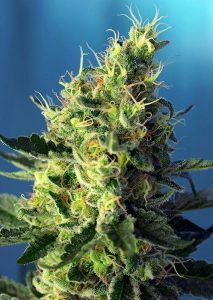 For the most part, buds are nice and dense with the exception of some of the smaller ones. They are a little more airy. 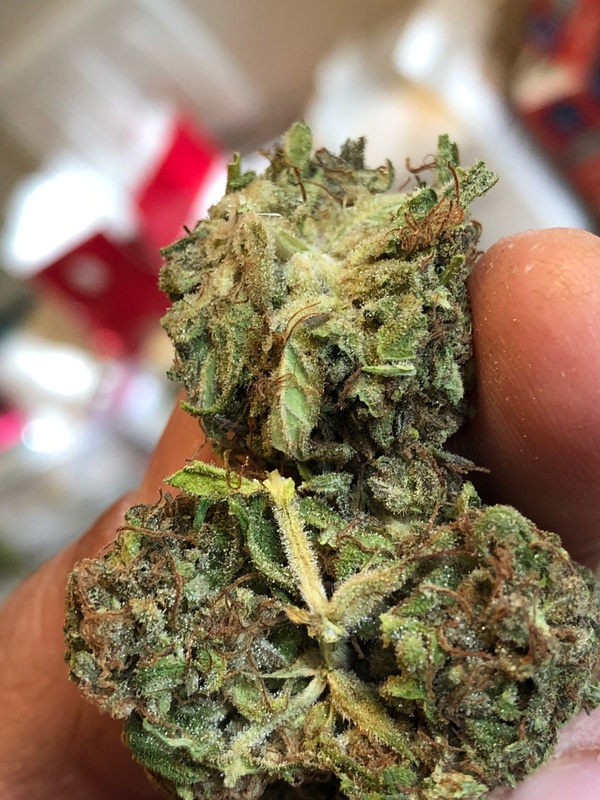 This was the biggest bud in the bunch. 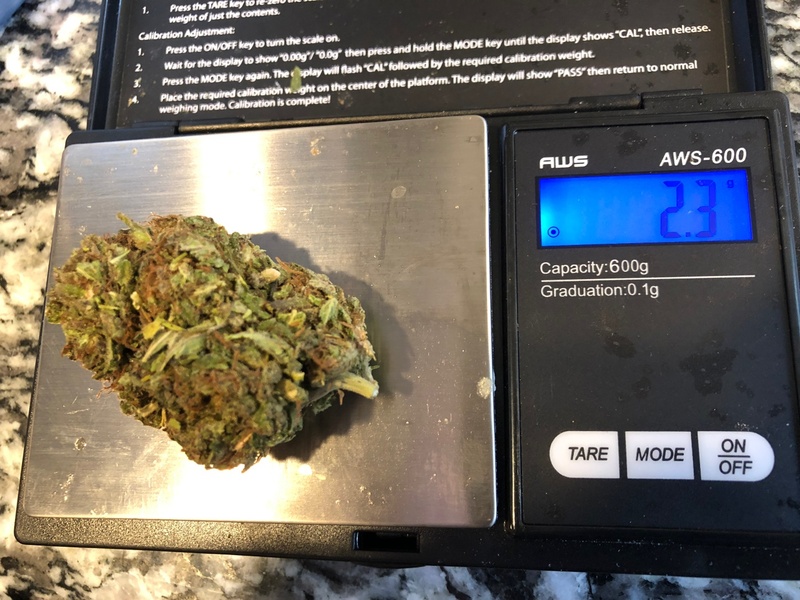 The 2.3 gram nug. Broken in half to view the consistency / density. Very nice and healthy looking. One of the buds was huge. 2.3 grams. So that brought the score up some. Most were average size though. For the taste test, I used my Arizer Argo vaporizer (as usual). I ground the flower in a freshly cleaned grinder and also vaped in a freshly cleaned glass stem. Always such a pleasant experience! The first couple of puffs were just full of (fruit/ berries/ citrus/ floral) taste. The middle part is earthy / woody. And it finishes with a sweet and very pleasant after taste. I had someone write recently asking if I would expand more on the effects of smoking/ vaping CBD flower. For me, it’s always hard to describe the effects because the effect of CBD for me is more of a clearing out of feeling — as opposed to making me feel a certain way. 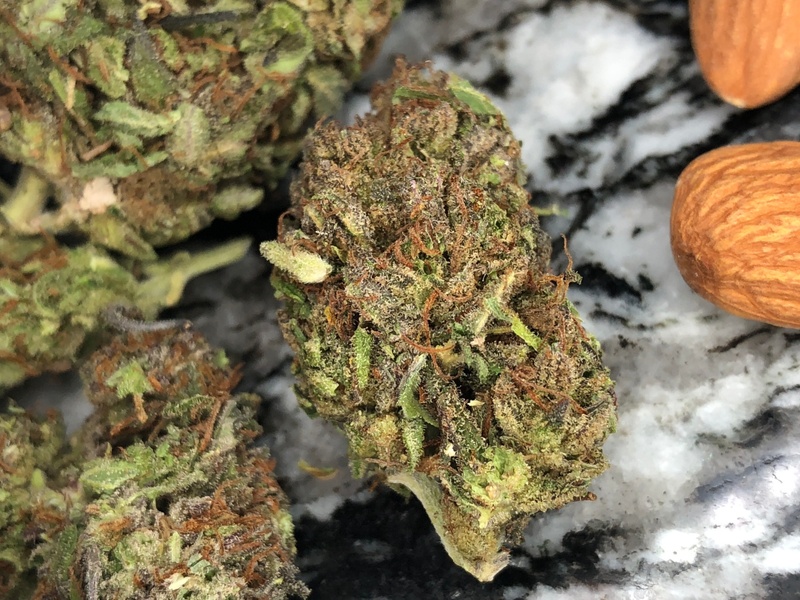 When I have the feeling of anxiety, CBD simply takes that anxiety away. Same with certain types of pain. With smoking, the effects might be different. Also, for first time users, you will definitely feel the effect of the small amount of THC that’s present. Even though it’s a tiny amount, you’ll feel it. That’s something I don’t feel anymore because it doesn’t take long to build up a tolerance. So. With that said. Effects were really good. 🙂 Please feel free to comment with your experience. 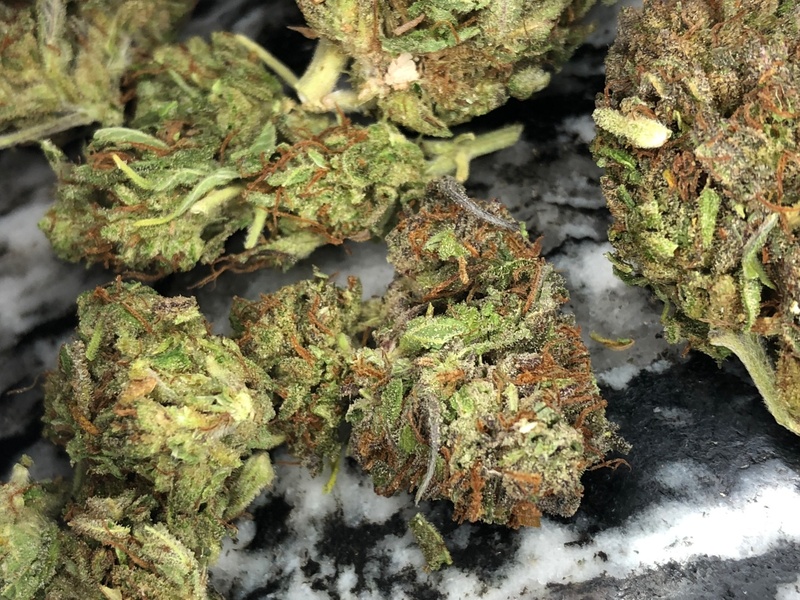 With flower selling for $2 per gram, Plain Jane definitely gets the coveted 11 out of 10 for pricing. Plain Jane’s flower is right up there with the best of them. And the price is nowhere near the rest of them! 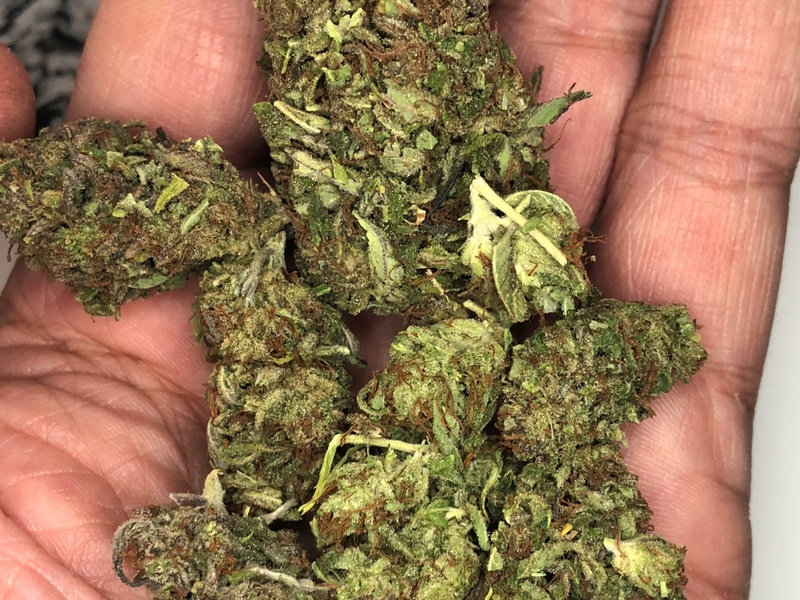 The only way you’re going to get close to $2/gram for anything of this quality is to buy at least an ounce. And even then, I feel like the best I’ve seen is $3/gram. There is a minimum 3 gram purchase. Go get it while you can!